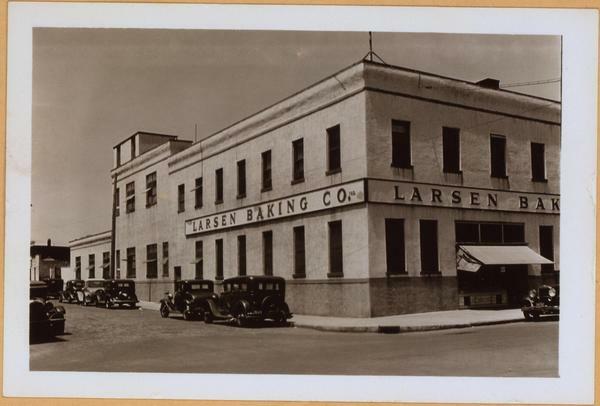 740-722 Henry Street, west side, north fromm Mill to W. 9th Streets, showing at the corner in the foreground the Larsen Baking Co. plant. View No. 2 shows the Mill Street side of the bakery.